Before you send your first email, review your email settings to confirm your default settings and make use of HubSpot's email features. Please note: these settings apply to Marketing Hub Starter accounts. Learn how to set up Marketing Hub Professional and Enterprise marketing email account settings. On the Configuration tab you'll set your default email size, colors, and email footer information. Click Edit defaults to edit the Contact property defaults or Company property defaults. In the dialogue box that appears, search for and select a property, then enter a default value. Manage your double opt-in settings for your pop-up forms. This extra confirmation step verifies the email address of all new contacts via form, and can greatly improve email deliverability. Learn more about how double opt-in works. 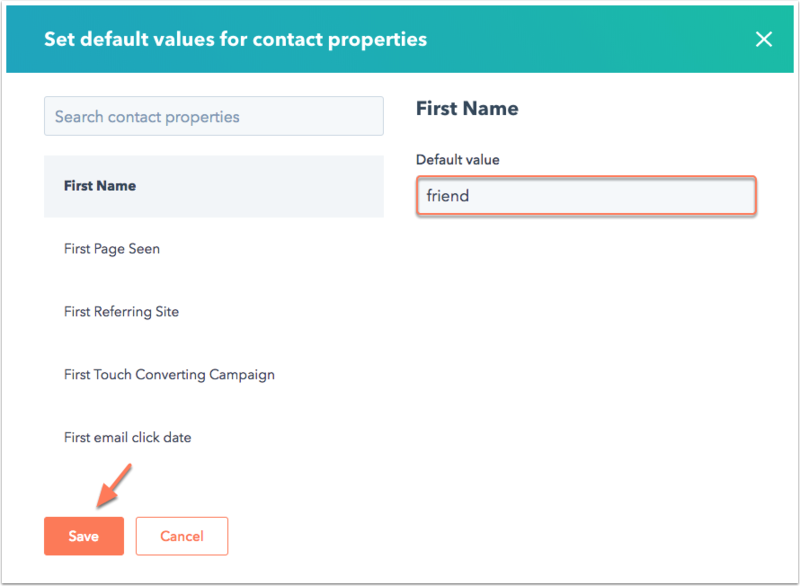 Switch the Double opt-in toggle on to send a confirmation email to new contacts created via form submission. 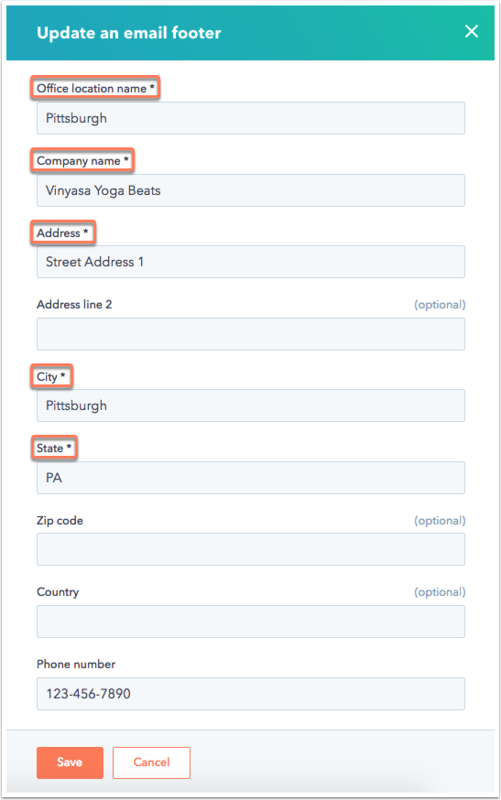 Use the sender dropdown menu to select a From address for the double opt-in email. Use the Double opt-in language to select a default language. Enter a subject line for your double opt-in email. You'll see a preview of how your double opt-in email will appear to your recipients.